Since the 15th century, Malacca has been steadily developing as an international trade centre due to its strategic location. Malacca is not only filled with greenery, but it’s also located next to the ocean and protected from monsoons by Indonesia’s Sumatra Island. The safe beaches of Malacca are popular destinations for a quiet vacation, away from the stressful lifestyle that most people experience. A hotel or chalet next to the Malaccan beach sounds like a good idea, no? Let Malaysia Mall guide you in finding the best beach accommodations in Malacca for you holiday! A simple beach resort located right next to the beach, this place is oozing with a sense of peace and relaxation. Shah’s Beach Resort comprises two rows of single-storey chalets made of wood, surrounding a calm pool and a green landscape. Each of these rooms has a veranda facing the pool, so you can sit under the shade any time of the day while looking after your kids, reading a book or just taking a nap. Shah’s Beach Resort is away from the busy town centre of Malacca, with only small eateries and resorts that are dispersed around the area. With swaying palm trees and a mild sea breeze, this resort is bound to give you the best out of your relaxing stay. Even though the chalets have traditional architecture, but they are complete with en suite bathrooms, air conditioners and televisions. Apart from the pool, an open field is available for group activities such as volleyball or even picnics. Guests who prefer the indoors can always visit their private museum and heritage library, both being the facilities that make this resort stand out. Need Wi-Fi? Shah’s has got it all ready for its guests to use for free. For guests who are travelling by car, there is free parking outside of the resort, so you don’t have to worry about that. A great beach resort awaits, so don’t hesitate to book a standard twin room online, for less than RM200 on your next vacation! Address: 9th km Tanjung Kling , 76400 Malacca , Malaysia. 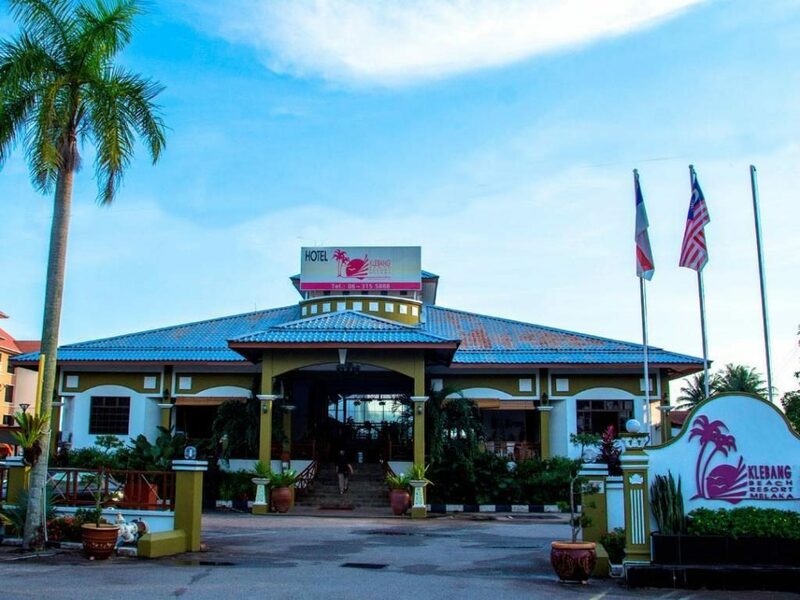 If you’re looking for something close to the sea, Balik Pulau Hotel is the one for you. This humble hotel is situated among rows of shop lots selling local food, but once you get to the top, you’ll be able to see how close it is to the ocean. Once you enter the Balik Pulau Hotel, you’ll be welcomed by a clean space, with an inviting reception desk that’s lit up with beautiful lights. A few sets of sofas and coffee tables are placed at the ends of the marble-floored lobby to seat guests. This hotel has a reputation for having very polite, friendly and helpful staff that are very willing to help guests in need. Be it booking taxis, changing rooms or any further request, the staff are always trying their best to attend to guests’ needs. 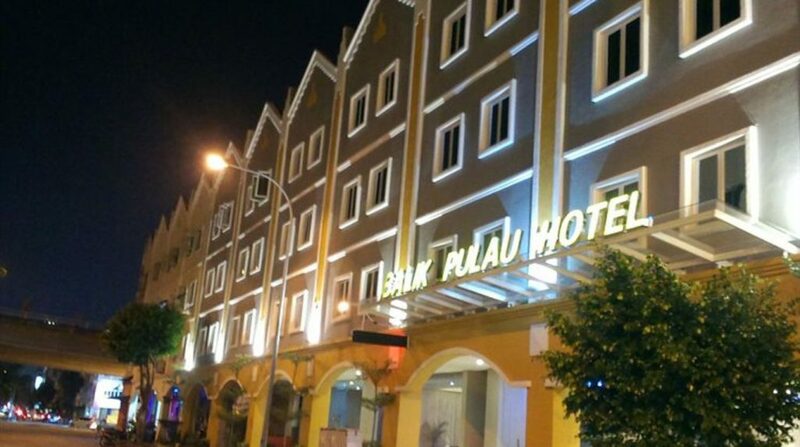 Balik Pulau Hotel may not be big, but the comfort of its rooms should be commended. Basic cleanliness of the rooms is maintained, with facilities like kettles and hairdryers for the guests’ convenience. During their stay, hotel guests can dine in the restaurant, and they’ll be able to catch a good view of the sea and the beach just next to the hotel building. This hotel also offers a garden for you to unwind and relax. 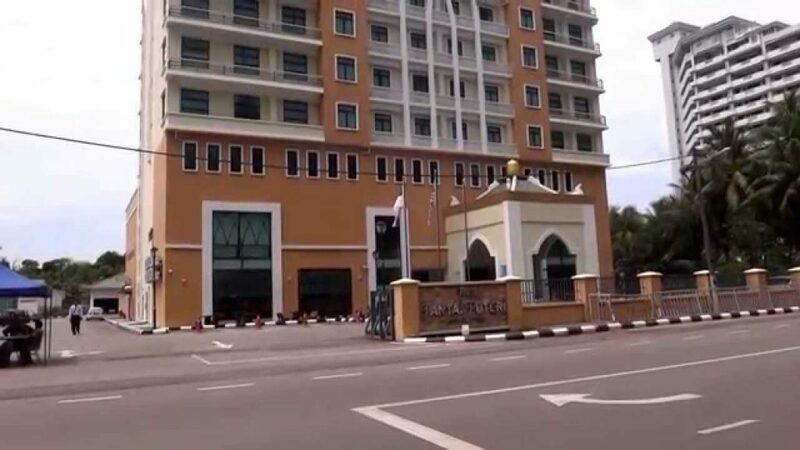 Another advantage of staying at Balik Pulau Hotel is that it’s close to various tourist destinations in Malacca such as the Taming Sari Tower, Jonker Walk and the Mahkota Parade Mall. A standard room without windows at Balik Pulau Hotel costs a little more than RM100 if you book online. Address: G18, Jalan Pm14, Plaza Mahkota, 75000 Malacca, Malaysia. 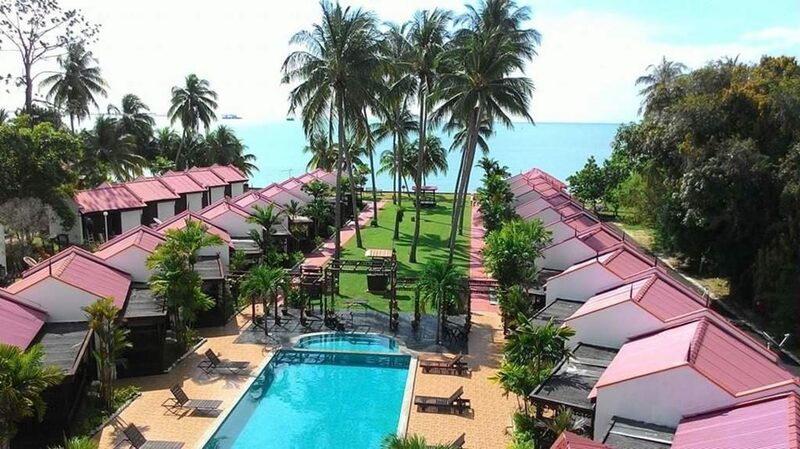 The Klebang Beach Resort is another budget accommodation on our list. The Klebang Beach Resort may be older than other accommodations around the area, but it’s still well-maintained and possesses all the necessary facilities for a short vacation. Located right next to the beach, this resort shouts the words “relax” and “vacation” once you step into the lobby for a check-in. Its stone flooring takes you back to nature, further enhanced by its wooden benches and coffee tables. Potted and hanging plants placed around the open area offers a relaxed vibe that takes you closer to nature. Its classic ceiling fans and the vintage chandelier are some of the signs that reveal the age of this resort. The Klebang Beach Resort is built further away from town and its best attractions, aimed at those who just really need a slow and quiet time next to the sea. This hotel offers one swimming pool for adults, and a smaller one for kids, which is why it’s very suitable for a family holiday. Besides, children can always spend time at the small garden if they are not up for swimming. Apart from being clean, the Klebang Beach Resort also boasts a group of friendly staff who is ever ready to help their guests. For a price of less than RM200, guests can get a night’s stay at their Deluxe rooms when you book online. Address: 92-1, KM 9, Batang Tiga, 76400 Tanjung Kling, Malacca, Malaysia. 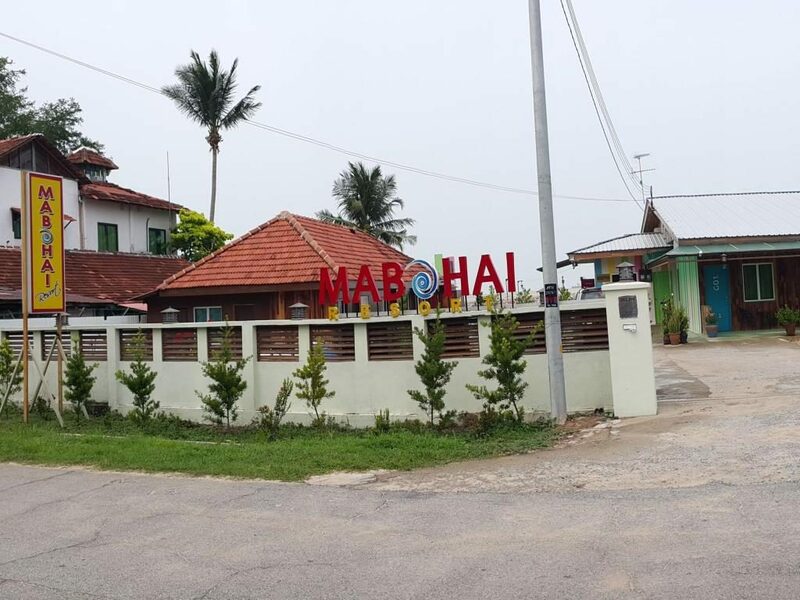 If your first criterion for an accommodation next to the beach is cheap pricing, then Mabohai Resorts Klebang is made for you. For only less than RM100 per night (for online booking), a standard room with two beds is all yours. Mabohai Beach Resort is mainly built upon a wooden theme, which can be seen from the barrier for the outdoor swimming pool, and also the bedroom walls. From the outside, the rooms are lined in a row, with colourful doors that add some fun elements to the whole resort. The rooms, small in size, are suited for those who plan to have a full day outdoors. Despite that, the resort still offers free Wi-Fi in all rooms for guests who are not keen on outdoor activities. The outdoor swimming pool is a nice place for families with children to hang out, as the children can wade in the pool in the hot weather. Adding on to that, guests can make bookings if they’re interested in a BBQ by the beach. Having some hot food under the stars, next to the ocean sounds like a great idea for a group gathering. Its location far from the busy town keeps this place quiet and peaceful as well. Address: 3854C, Off, Jalan Klebang Besar/Klebang Kecil, Batang Tiga, 76400 Tanjung Kling, Melaka, Malaysia. Although the Pantai Puteri Hotel is located at a quieter place, it does not lose out in terms of its nearby facilities. Around the hotels, there are various food stalls and public facilities for the convenience of visitors. Every Saturday, there will also be a night market about 200 meters north from the Pantai Puteri Hotel, where guests can do some shopping. The Pantai Puteri Hotel has some nice rooms at the higher levels with a sea view. If you don’t mind paying a little bit more than RM100, then the view is all yours to have for the night. The rooms are also spacious, hence it’s proper for families with children or old folks as they require more space to move around. A swimming pool downstairs is also a place where families can enjoy some fun in the water. Aside from the outdoor facilities, the Pantai Puteri Hotel also provides basic toiletries, towels and hairdryers for guests’ use. Travellers who are driving can easily park their car at the parking space provided. If you want to head to the beach, it’s just a short distance from the hotel, therefore accessible by feet. The hotel also provides breakfast to its guests, which guests can wake up to every morning during their stay there. Address: Pantai Puteri, Mukim Tanjung Kling,, Daerah Melaka Tengah,, 76400 Malacca, Malaysia. The best beach accommodations in Malacca with affordable prices are on this list. Be sure to have a good time while you’re on a beach vacation in Malacca!